As November comes to an end, the holidays pop up, and residents get excited for upcoming events, there’s one group of people we haven’t take the time to fully thank. So, this month being National Caregivers Appreciation Month, we are going to look at the jobs of the caregivers we have here at the Waterford. This way, our readers can understand just how much time, effort, love, and care goes into ensuring our residents are happy, healthy, and excited to live here. We’ve split the duties of our caregivers into three basic sections: meals and medication, grooming and restroom use, and transportation and companionship. 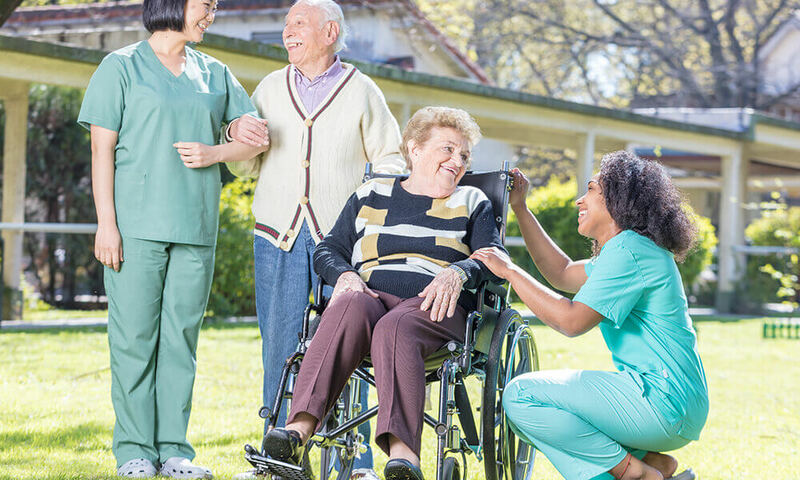 Our caregivers provide all of these services and more to the residents at the Waterford, so next time you’re here visiting a loved one you can understand all the factors which do into their care. All of our caregivers help either plan, cook, or serve our residents. Caregivers also help bring residents to tables, set up dishware, clean up dishware and leftover food. Mealtime in an assisted living center has to run very efficiently to ensure residents get their food on time while it’s still fresh. This process is even more important for seniors with dietary restrictions such as those with diabetes or high cholesterol. Medication reminders are another crucial part of caring for seniors in assisted living. While most residents are more than capable of taking their medications themselves, reminders are sometimes necessary and there can be health consequences if even one dose of medication is missed. For that reason, our caregivers are aware of our resident’s individual medication schedules so that health remains a top priority. Hygiene is extremely important for a resident’s overall wellbeing. 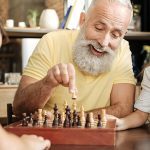 For this reason, caregivers are responsible for assisting residents with a number of tasks tied to their hygiene if they are unable to complete the tasks themselves. For example, hair brushing, nail clipping, toilet use, and shower use. All of these activities need assistance from trained professionals, especially ones like shower use, because residents can get injured if problems arise. All bathrooms are also equipped with emergency indicators so caregivers can be notified immediately if residents are faced with an emergency such as a fall. This setup ensures the safety and health of each resident at the Waterford. Moderate housekeeping also keeps residents rooms decluttered so that moving around is not hindered and there are no obstacles in their rooms or shared living areas which could cause a fall or other harm. If residents have access to a car, caregivers can sometimes drive them to doctor appointments or other activities. This helps residents go about their lives without subjecting them to the dangers associated with driving. Transportation can also mean helping senior residents out of chairs and into wheelchairs to increase independent mobility. The most important service our caregivers provide, however, is companionship. 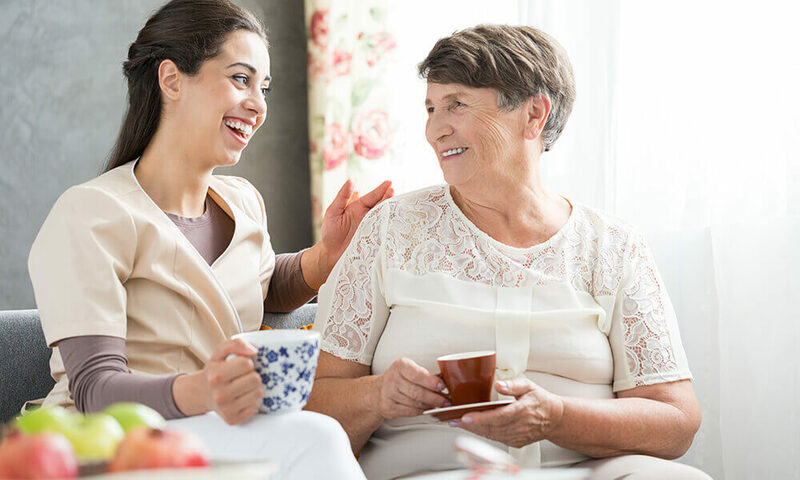 Residents get to know their caregivers intimately. 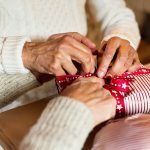 Spending time with people you know, care for, and trust means caring for their needs on an individual level instead of a only having caregiver and care receiver relationship. Our residents couldn’t be more important to us, and our caregivers work every day to ensure residents feel like the wonderful individuals they are, not just a number on a timesheet. To all the caregivers who provide services for seniors, we applaud you as National Caregivers Appreciation Month comes to a close. For more information about specific services at the Waterford, visit our website!